We were commissioned by Shepherd Church (Shepherd of the Hills) as Global Partners in December 2009. We moved to the Philippines as newlyweds and began serving in full-time ministry in May 2010. Our involvement with MCAC began as volunteers shortly after our first visit in September 2010. At the time we were still working full time for IDEA’s deaf ministry based in Maasin. (You can read more about our involvement with the deaf ministry here). When our service with the deaf ministry ended, Francis shifted to a full-time voluntary position with MCAC. In 2012, he was officially recognized and absorbed by CAMACOP as the Associate and Youth Pastor of MCAC. 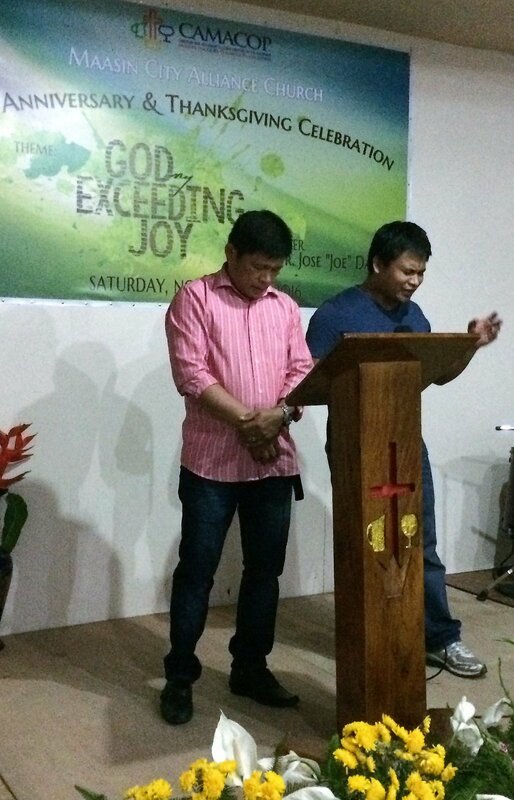 He serves alongside and under the leadership of the Senior Pastor, Reverend Edwin Villafuerte. advisers, and even the Ninong and Ninang (godparents) of our children, as are many of the church members. A wonderful aspect of serving in the local church is how the members have made us part of their families. Life here is lived side-by-side. We cook, eat, clean, laugh and cry together. There is no boundary or exclusiveness between the pastors and the church members. It’s humbling and encouraging to live so closely with others, and truly a different experience culturally than what ministry workers experience in the States. Francis leads the youth ministry and outreach programs for teens and young adults for MCAC and our sister CAMACOP established churches and church plants across our zone (10 congregations in all). Discipleship is the primary goal of the FOCUS Youth Ministry. All camps, retreats, and fellowships for churched youth are geared for discipleship and disciple-making. Our primary purpose is encouraging young people own their faith and equipping them to share Jesus with their friends, family, and community. 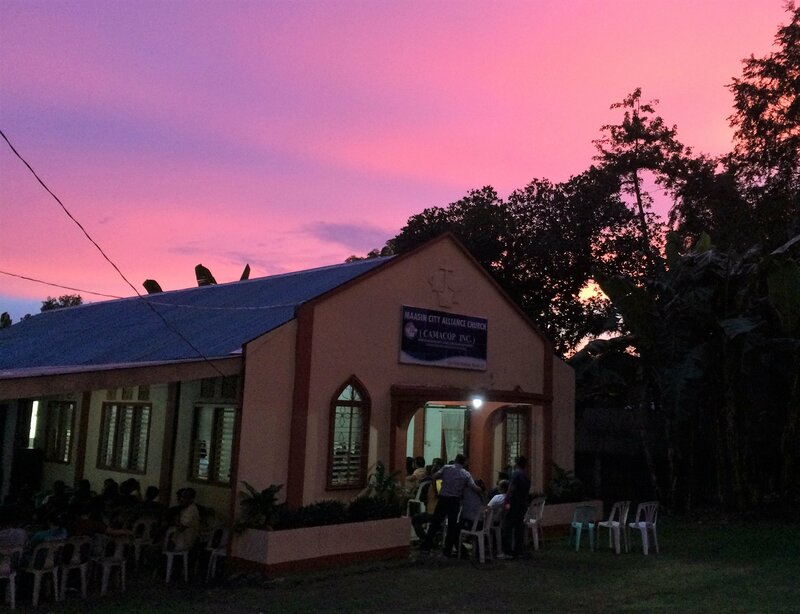 Other ministry activities Francis leads are True Love Waits (abstinence and sexual purity) seminars and Youth Hangouts (outreach and evangelistic nights). These programs target non-believers, sharing truth and equipping them with the life-saving and changing relationship with Jesus Christ. In all of these ministries and dailiness of life, we’re living alongside young adults and their families. We’re walking with them through the joys and tough times, and loving on them with Jesus’s love. Such a privilege! Laura’s primary ministry role is a support position. Francis calls me the “jack of all trades” whenever any crafting or creativity is needed. I do just about anything Francis or Pastor Edwin need, from preparing or editing PowerPoint presentations to designing tarpaulins, certificates, and programs for many church activities. I also have the pleasure of designing stage and room decorations for weddings, debuts and other parties. Blessing church members and their (non-Christian) families in such fun, practical ways blesses me too! A huge chunk of my time is invested at my children’s school, building relationships and sharing Jesus with the other moms. I’m also involved with MCAC’s women’s ministry and strive by God’s grace to be the best mom I can be for our little ones. God has kept our hands and hearts full as we live each day for His glory and Kingdom purpose! For as long as He calls us, we commit to serving in Maasin City, Southern Leyte.